Carpet Installation and Hardwood Flooring! Shop in Your Own Home! Is your carpet looking old, worn and matted down? How about your kitchen flooring? We here at Dover Floor Covering feature all of the newest styles in floor covering including new carpet, hardwood flooring, vinyl flooring, ceramic tile, waterproof flooring, LVT and laminate flooring. Shop for flooring in the comfort of your own home! Dover Floor Covering's mobile showroom on wheels saves time, money and gas. From the comfort of your home you can browse through a myriad of flooring samples making it easy to match your decor in your home's natural lighting. From soft carpet to new hardwood flooring, that offer beauty and durability, to laminate flooring, ceramic tile and vinyl flooring, Dover Floor Covering has you covered. 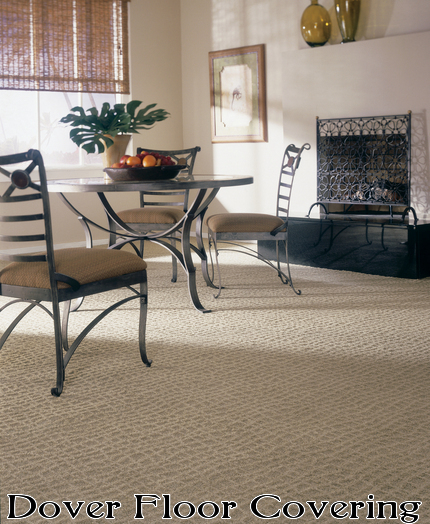 New soft carpet styles by Beaulieu of America and Mohawk are featured for your living room, dining room, bedrooms and hallways. We also carry Mohawk's newest carpet yarn style Triexta! (Smartstrand). Congoleum vinyl products are our preferred cushioned products for kitchens, bathrooms and entry ways. Mohawk ceramic tile is a beautiful addition to any master bath, kitchen, entry or mud room. Laminate floors can be installed or purchased separately for the do-it your selfer. We Will Not be Undersold on New Carpet or Hardwood Flooring! Because of our low overhead, we can meet or beat most every price on new flooring! We understand that in the current economy, lower flooring prices are more important than ever. But not only low prices but great value. We only use highly qualified flooring installation crews that are hand picked. You no longer have to "hope" you get a good installer from one of the big box stores. You can know that you will get our best flooring installation crew for your home improvement project. Call today for your in home consultation. 248-889-4253. 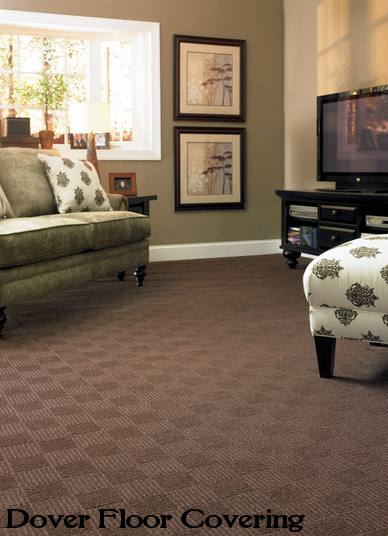 Dover Floor Covering provides some of the best styles, colors and prices on new carpet. 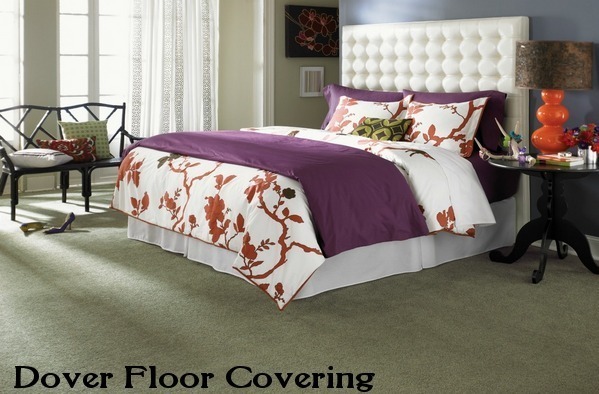 With our low overhead, Dover Floor Covering is dedicated to passing along those savings to our customers! Our company vans are jam packed with enough new carpet samples to fill a small carpet store. 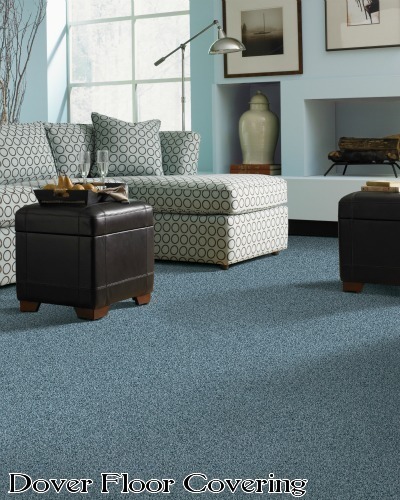 We have a large selection of carpet styles that include designer multi-toned cut pile carpets, fashionable berbers, textured weaves, level looped carpet, patterned carpet and more! We also carry every different carpet yarn available. We have nylon carpets, solution dyed nylon carpets, polyester, Smartstrand, olefin and more. We take great pride in our carpet installation services. 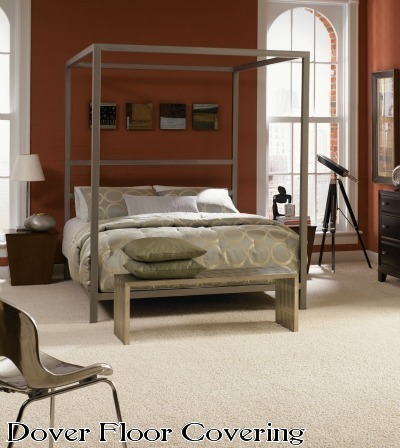 Dover Floor Covering only uses high quality carpet installation crews. Our promise to you is to be on the job site on your scheduled installation day. We will be on time and will perform the carpet installation in a professional manner. Hardwood flooring will add beauty, performance and value to your home. Dover Floor Covering carries a variety of hardwood flooring including: engineered hardwood flooring and solid hardwood flooring. Some of the hardwood species we carry are: oak hardwood flooring, maple, hickory, American cherry, ash, birch, walnut, Brazilian Cherry and lots more. The hand rubbed oil finished hardwood floors are a must see. Dover Floor Covering also provides high quality hardwood floor installation. We can install solid hardwood flooring, engineered hardwood flooring or click together floating hardwood flooring. Nail down, staple down, glue down or click, hardwood floor installation is what we specialize in. Call today for an in home consultation. Dover Floor Covering also carries sheet vinyl flooring, ceramic tile, LVT and most every type of flooring available for residential installation. We also carry the new waterproof flooring. This type of flooring is under the LVT banner and is great for wet areas in the home. Areas such as basements, laundry rooms, mud rooms, kitchens and any other room in the home where water may be an issue. Vinyl installation and tile floor installation can also be provided. We Are a Locally Based Flooring Company! We serve the fine communities of White Lake, Highland, Milford, Bloomfield Hills, Brighton, Clarkston, Northville, Commerce, Davisburg, Holly, Walled Lake, Wixom, Novi, West Bloomfield, Waterford, Hartland, South Lyon, Oakland County and many, many more. New carpet for your home will enhance the beauty and comfort of your home for years to come! 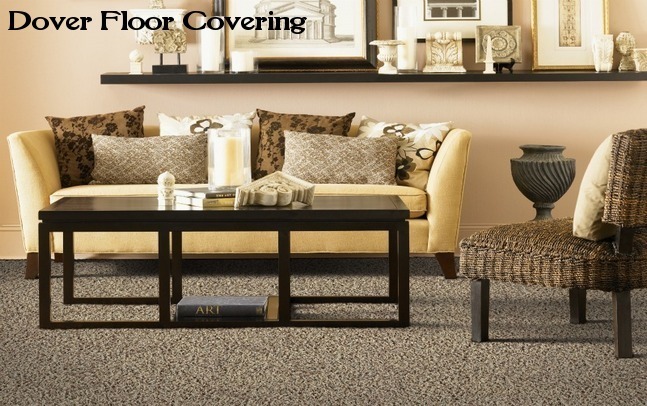 Dover Floor Covering specializes in new carpet sales and installation. We carry the top brands of carpet including Mohawk, Aladdin, Horizon, Wunda Weave, Beaulieu, Coronet, Hollytex and many more. Our mobile showroom has an abundance of carpet samples to bring to your home. 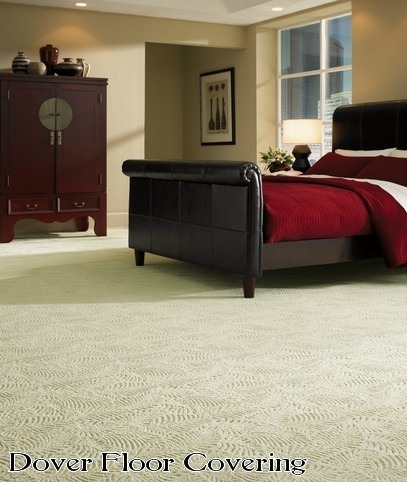 All the new carpet styles and colors that will make your home into the beautiful showplace you envision. There is no need to leave the comfort of your living room. Let us come out to your house and show you all the newest selections in carpeting. We will measure and inspect all the rooms that you will be redecorating. You can match the carpet samples to your decor to insure a perfect color match for your unique situation. We at Dover Floor Covering will install your new carpet on time and in accordance with the CRI specifications. We power stretch and seam seal all of our carpet installations to make sure you get the absolute best carpet installation possible. Your complete satisfaction is our main goal. 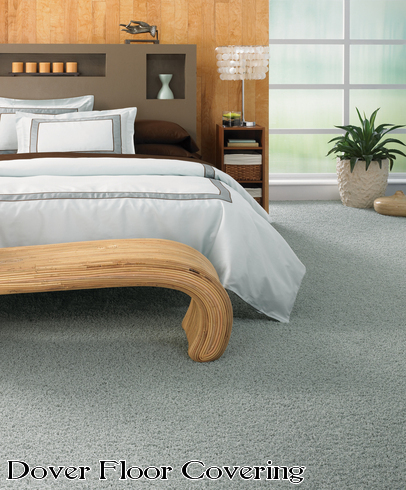 New Soft, Plush Bedroom Carpet For Less!